July 18, 2014  A Comcast service call making the rounds this week sounded really familiar to millions of Americans. But some companies have figured out how to make the universally unpleasant experience a lot better. July 16, 2014  The man whose frustrating call to Comcast went viral says the customer service rep should not be fired. Ryan Block says the problem he encountered is far more systemic than one person. July 15, 2014  In case you missed it, a customer posted eight minutes of a bleak call with Comcast. His attempt to cancel his cable set a new standard for bad customer service. February 13, 2014  Comcast's proposed $45 billion merger with Time Warner might strengthen provisions intended to make sure Internet providers are treating all online traffic equally by extending so-called net neutrality to millions more users. But public-interest advocates worry that the deal will hurt competition. Will Comcast Get Federal OK To Buy Time Warner? February 13, 2014  The nation's No. 1 and No. 2 cable companies would come together if Comcast's plan to buy Time Warner for $45 billion goes through. 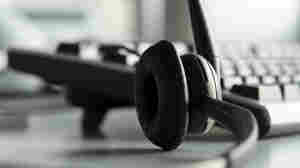 Before that can happen, though, federal lawyers are expected to consider the effect of such a combination on consumers. 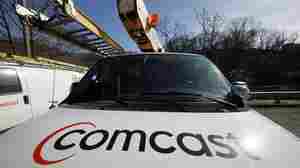 February 13, 2014  Media report Comcast will announce its acquisition Thursday morning. 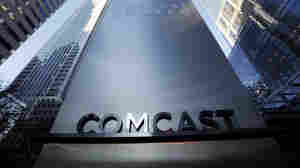 The merger would combine the country's two largest cable companies and likely draw scrutiny from regulators. February 12, 2013  Comcast Corp. said Tuesday it will complete its buyout of NBCUniversal from GE for about $16.7 billion, ahead of schedule. 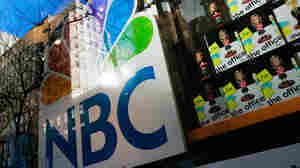 Comcast, the nation's largest cable company, has owned 51 percent of NBCUniversal since their $28 billion merger in 2011. January 18, 2011  The deal still needs approval from the Justice Department.